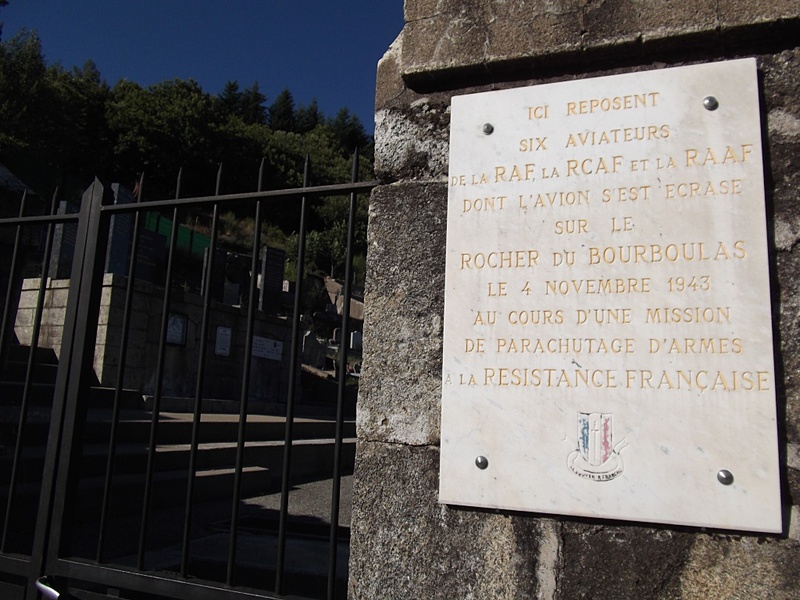 Marcols-les-Eaux is a rather isolated village and commune in the Department of the Ardèche, 18 kilometres north-west of Privas. 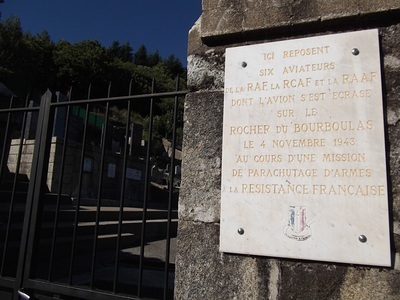 The village is situated on the road from Mezilhac to St. Sauveur-de-Montagut, which is the main road from La Voulte-sur-Rhone and to le Cheylard. 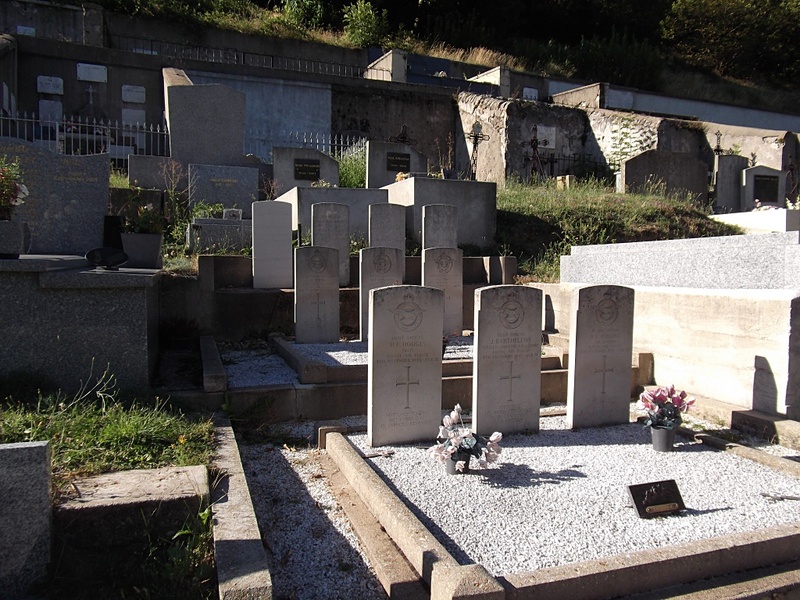 The cemetery is on a hillside east of the village, near the churchyard, on the north side of the Mezilhac-St. Sauveur road. 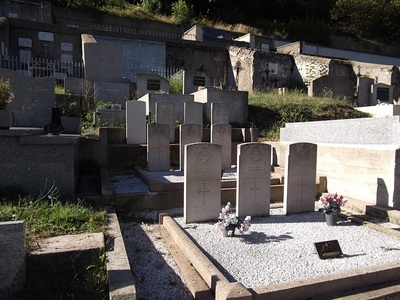 The graves are to be found north-east of the main entrance. 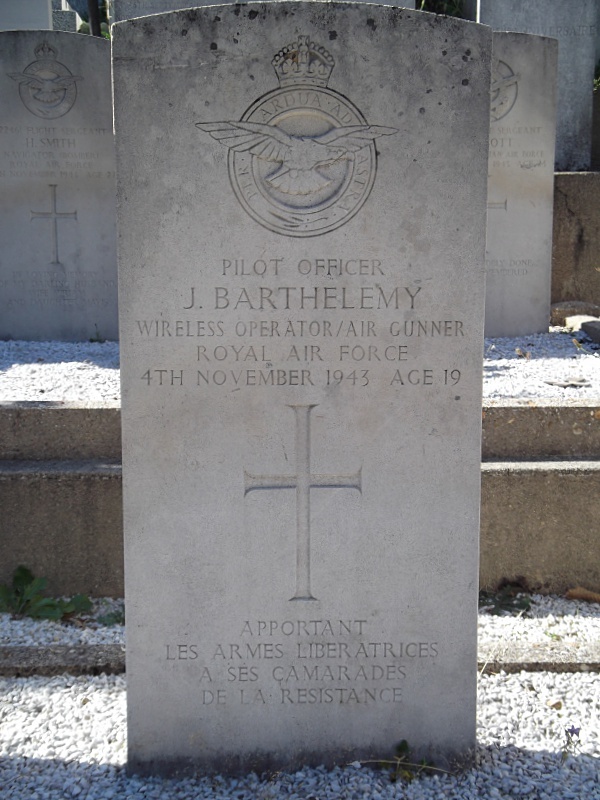 159713 Pilot Officer Jacques Barthelemey, Wireless Operator/Air Gunner in 138 Squadron, Royal Air Force Volunteer Reserve, died 4th November 1943, aged 19. Son of Henri William Achille and Madeleine Barthelemy, of Raynes Park, Surrey. 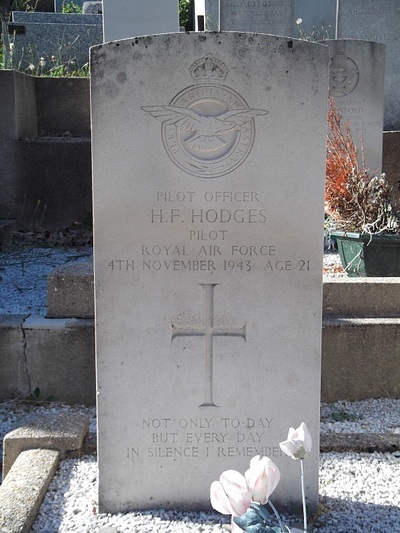 158788 Pilot Officer Henry Fitzgerald Hodges, 138 Squadron, Royal Air Force Volunteer Reserve, died 4th November 1943, aged 21. Son of Henry Blomfield Hodges and Eileen Josephine Hodges, of Sevenoaks, Kent. 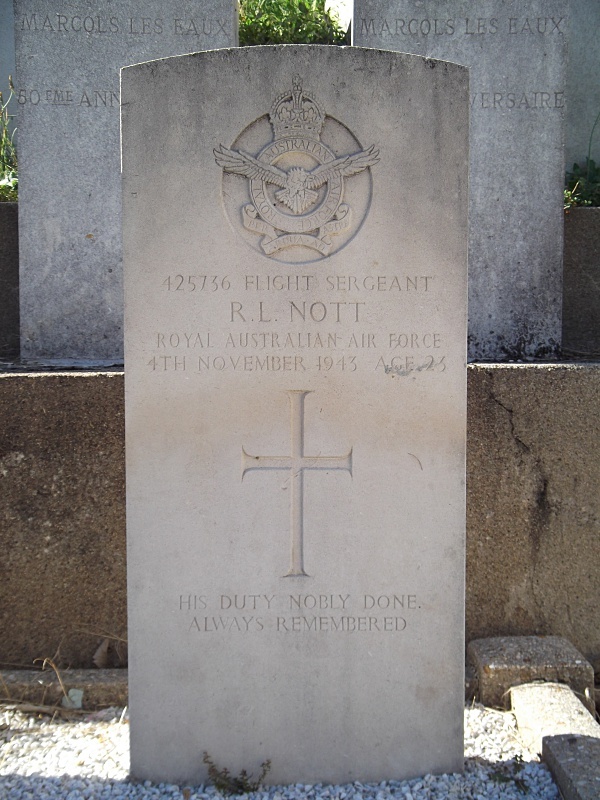 425736 Flight Sergeant Reginald Lance Nott, Royal Australian Air Force, died 4th November 1943, aged 23. Son of James William Milton Nott and Grace Veronica Nott, of Maryborough, Queensland, Australia. 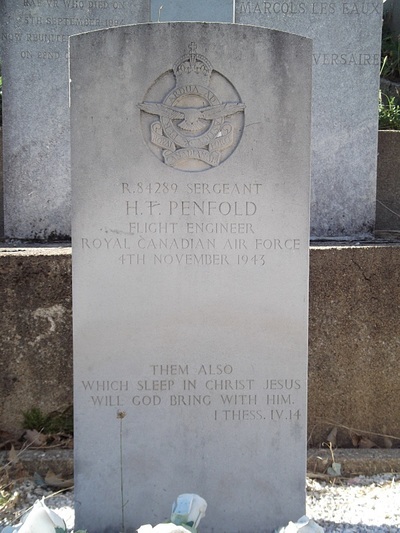 R/84289 Sergeant Harold Thomas Penfold, Flight Engineer in 138 Squadron, Royal Canadian Air Force, died 4th November 1943. Son of Thomas H. Penfold and Mary Penfold, of Guelph, Ontario, Canada. 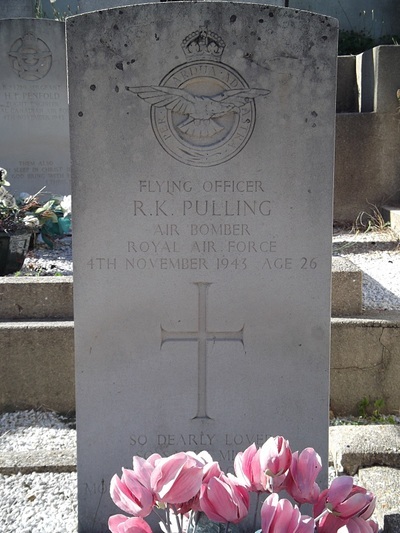 133087 Flying Officer Ronald Edward Pulling, Air Bomber in 138 Squadron, Royal Air Force Volunteer Reserve, died 4th November 1943, aged 26. Son of Richard and Amelia Pulling, of Romford, Essex. B.A., Hons. 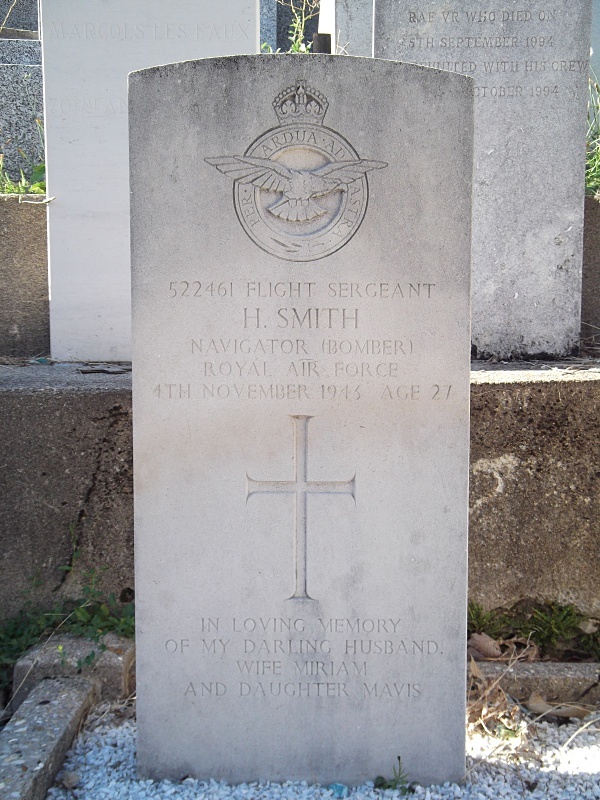 522461 Flight Sergeant Harry Smith, Flight Navigator (Bomber), in 138 Squadron, Royal Air Force, died 4th November 1943, aged 27. Son of Charles and Agnes Smith; husband of Miriam Dorothy Smith, of Norwich.